We offer professional tours and educational seminars that are custom designed according to your specific wants and needs. Our highly skilled staff have a unique and unrivalled expertise based on a comprehensive understanding and familiarity with Israel's innovative cutting-edge industries. Kenes Professional Tours combines that knowledge with a wealth of experience in business tourism. We aim to provide clients with the necessary information and tools to implement procedures in their own business and to expand business networks. Our tailor-made tours offer insight into Israel’s unique business ecosystem, providing direct access to groundbreaking technologies and innovative solutions. In addition, our tours include sightseeing of the many diverse biblical and historical sites that Israel has to offer. The scarcity of water in Israel has contributed to the development of advanced solutions in the field of water technology. 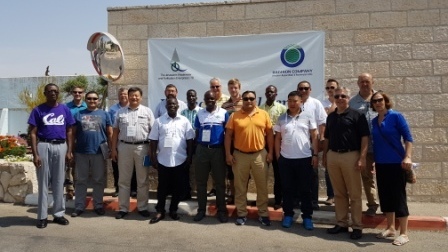 With over 600 companies, including approximately 100 start-up companies, offering a variety of water technology services and solutions, Israel is considered a key force in the global water industry. The progressive technologies and comprehensive expertise of the Israeli water resource management sector are utilized in the fields of irrigation, wastewater treatment, water purification, reclaimed water use, water security and more. Via our professional tours platform, we offer an inside look into the enterprising Israeli water sector. In accordance with our clients' specifications we will plan a tour providing pertinent information and provide a first-hand experience of this important cutting-edge industry. Israel's agricultural sector has achieved world-renowned success in spite of being faced with harsh and adverse geographical and weather conditions. Having to cope with and find solutions to a challenging and arid environment has led to the development of innovative and advanced agricultural techniques, such as cutting-edge dairy farming technologies, revolutionary drip irrigation methods, effective water recycling and purification, reuse of wastewater for agricultural purposes and more. Israel’s highly advanced know-how and vast experience has contributed to making it one of the world leaders in the field of agro-technology. Our professional tours platform, offers an inside look into Israel’s diverse agricultural industry. In accordance with our clients' specifications we will plan a tour providing pertinent information and provide a first-hand experience of this innovative and dynamic ever-developing sector. 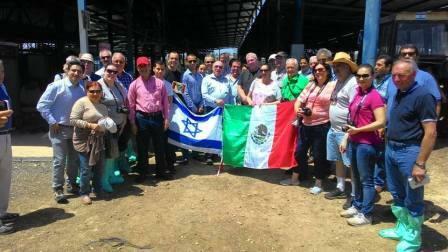 Visit an experimental vegetables farm- learn about the latest new technologies and methods developed in Israel. Commonly referred to as the "start-up nation", Israel's Hi-tech sector is one of the most innovative and successful in the world. With the highest number of startups per capita in the world and with the third highest number of patents per head, the Israeli hi-tech ecosystem offers a wide array of technologies and solutions in various fields ranging from cyber security solutions to bio-medical technologies. Our clients will gain an insight as to what is involved in the development of an innovative environment, will become familiarized with the successful Israeli incubator program, meet with exciting start-ups, tech-transfer companies and venture capital funds, discover groundbreaking technologies and directly expand their business network into this exciting ecosystem. NASDAQ 2016 listings reveal that besides the United-States there are three other hi-tech superpowers. China is represented by 93 NASDAQ listings, Israel with 77, and Canada with 57. Among these economies, Israel represents an optimal Hi-Tech Tourism destination given its proximity to Europe (500 Km from Cyprus and 800 Km from Greece), its spiritual background (Cradle of Christianity), its limited size (Stretches 424 Km South to North and up to 114 Km in its widest point), its majority of English speakers (85%), its extensive ecosystem supporting technological ventures, and especially its open-minded people willing to share their technological experience. Kenes Professional Tours offers academic and educational institutions a tailor-made program led by a local academic facilitator with international experience. Our facilitator, together with your designed representative, will ensure to adjust the study-tour to your academic needs before (designing the syllabus), during (delivering the content), and after the tour (conducting the follow-up). Our academic facilitating unit, including selected facilitators, is headed by Danny Abramovich. Danny is an international marketing lecturer with 18-year experience in 7 countries and 15 MBA and Master-level programs. Danny is also the founder of an educational venture. 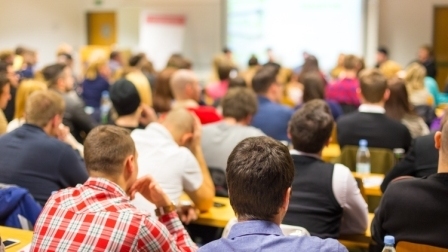 The academic facilitating program at KENES Professional Tours allows groups of students to practically learn how to prepare a new venture marketing plan as a major support to their academic curriculum. Israel’s highly advanced know-how and vast experience has contributed to making it one of the world leaders in the field of agriculture, water and hi-tech technologies. Tailor-made professional tours designed specifically for the needs of the clients. Tours include field visits, training and meetings, as well as lectures by top experts and professors. Professional tour guides, who are leading experts in their fields, from the Center of Cooperation & Advancement. Attractive priced professional tours – rates are set in accordance with the Israel Ministry of Foreign Affairs. Certifications issued at the conclusion of the tour, with a minimum of 4½ days of professional tours. Touristic visits to world renowned historical landmarks with professional guides (Jerusalem, Bethlehem, Nazareth, Sea of Galilee, Dead Sea and many more). Kenes Professional Tours delivers an inside look into Israel’s innovative and diverse agricultural industry. Irrigation & Fertilization: Find out firsthand about effective, customized technologies and methods geared toward increasing higher yields with minimal risks in both water and agricultural industries. Precision Agriculture: Join us in an in-depth exploration of the use of high-tech methods and technologies resulting in better quality produce. Postharvest Treatment: Focus on the handling stage of crop productions immediately following harvest, including cooling, cleaning, sorting and packaging, all aimed at maintaining the best quality at all times. Greenhouses & Hydroponics: Visit sophisticated greenhouses & hydroponics that use indoor and outdoor state-of-the-art equipment to maximize production and profitability. R&D Centers: World renowned R&D Centers focusing on Plant Science, Animal Science, Plant Protection, Soil, Water and Environmental Sciences, Agricultural Engineering, and Postharvest and Food Science. Dairy Farming: Explore solutions for the establishment and management of dairy farming projects, including solutions for design, construction, installation and supervision. Aquaculture Farming: Take a close look at the comprehensive integrated aquaculture solutions for the entire fish production cycle. For more information and deadlines, check the itinerary.